In 1952 renowned musicologist, filmmaker and painter, Harry Smith went through his vast collection of blues, old-time country, Cajun, and gospel 78s to compile the groundbreaking Anthology Of American Folk Music box set, which had a profound influence on musicians such as Bob Dylan, The Grateful Dead, Led Zeppelin and Bruce Springsteen. 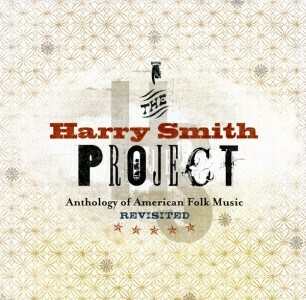 Now, The Harry Smith Project: Anthology Of American Folk Music Revisited, a 2-CD/2-DVD box set culled from a series of concerts staged by Hal Willner that took place in 1999 and 2001, pays tribute to Harry Smith and his influential Anthology. Features Beck, Nick Cave, Elvis Costello, Steve Earle, Beth Orton, Lou Reed, Sonic Youth, Richard Thompson, Wilco and others.